One frustrating aspect of writing songs is finding a balance between writing what you want to write and writing what the market is currently accepting. So many songs never make it to market because they are either outdated or too out of the pocket with what’s current. The more current your songs are, the more likely a risk-averse, mainstream market will bring them onboard. But if your songs aren’t current, you have several options to improve your likelihood of getting cuts and still find personal fulfillment artistically. Do your songs deal with subject matter that is current? Are they too serious? Too cheesy? Are your lyrics in line with current trends? Are you using lyrics that are outdated or overly cliché? Is your melody in line with current trends stylistically? Are your demos current? Do they sound outdated? Are you using instruments and techniques that the market is using? If after asking these questions you find that your songs are current, great! They are more likely to see success in the market. However, if your songs aren’t current, no fear! You have several options, depending on what you are trying achieve. If you simply write what is current, you will likely lose your passion for songwriting, so here are some ways to work around that. Write some songs for personal fulfillment, knowing that they may never make it to market. This will fulfill your artistic need for expression and eliminate some frustration of feeling pressur to write what everyone else is writing. Write some songs that lean towards where you think the market is headed. This means innovation, risk, and uncharted territory. While these songs may not fit the mold now to make it to market, they may be ahead of the curve and make it in the future as the market tires of current sounds and looks for the next great sound. 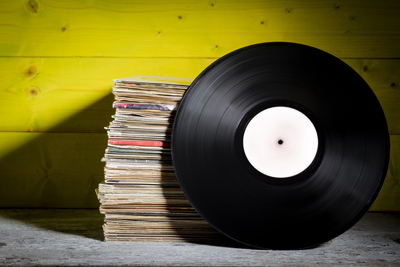 Rewrite or record new demos for outdated songs in your catalog. Sometimes the core song is solid, but a few lyrics or production elements are dragging it down. By reworking these songs, you can make them current and more likely to get cut. Write some songs that closely follow current market trends. This is the least risky path because the market is already proven to like these songs. Your artistic side will surely be frustrated as you conform, but try to see it as “get your foot in the door” kinds of songs. As you find success as a songwriter with these songs, you will have the credibility and connections to write more innovative material down the road.